GPU prices are finally coming down! We have reverted our guides back to a normal CPU + discrete GPU combo. Our CPU of choice is the Ryzen 3 1300X. This CPU is inexpensive but still packs a punch with its 4 cores and 3.7 GHz turbo frequency. The Ryzen 3 1300X includes a good stock cooler, so a 3rd-party cooler isn't necessary. We're using a parametric filter to constantly select the best-priced motherboard while meeting selected criteria. In this case, we are filtering for mATX B350 chipsets, which will allow us to overclock the CPU without breaking the bank. The compatibility engine will filter out anything not compatible with the build. I'm glad the compatibility filter flagged it, but you should really mention the need to update the mobo to be compatible with Raven Ridge processors. My roommate was told it would take roughly a month to send him a kit to update his bios, because Newegg would not accept a return for it due to incompatibility of the BIOS. Luckily, we have another roommate who had a Ryzen 3 1200 and a 1050ti. We had to disassemble one computer and use the components to update the other. The new build would've taken about a month to receive parts from AMD, if he was even approved for the update kit. Yea, he bought MSI, and their rep said he would have to pay for shipping the mobo back to MSI for an update, and then they would ship it back to him. Total time: 2-4 weeks. AMD said he could request an older AM4 chip to update, but it would be waiting on approval for about 2 weeks, and then it would ship regular post, so another 1-2 weeks. Just wanted to say, if you are buying a motherboard, they now have ones with Raven Ridge stickers on the box that say it is the latest updated bios. I don't know if I'm lucky, but I received the boot kit in 4 days after the confirmation for the RMA from AMD (which was another 2 days), in total, it took less than a week? Who do request the kit from and how? Thanks! Fill out the request form, and in the product description put "boot kit required"
I haven't done this yet, but this is how I plan to do it. Hope this helps. Good catch, I'd left out one criteria in the parametric filter and have since fixed it. Thank you. This is a fantastic build guide. Hopefully, the AM4 platform will be here to stay for a while so this build will have a great upgrade path in the future. I'm absolutely going to use this as a baseline for any budget builds I'll make in the future. The only thing I would possibly change is the 2TB HDD. Of course, storage space varies from user to user, but personally, I would start out with a smaller SSD since secondary HDDs are so much easier to throw in and upgrade afterwards without having to clone or reinstall Windows. A note about the case's side panel: On the MasterBox Lite 5, the side panel is acrylic, while on the Masterbox Lite 5 RGB, the panel is tempered glass. Still a great case, just a small correction for the build description. Agreed. This is more like a $400 "upgrade path" oriented build: start with the core components, minus the discrete GPU. Then add whatever GPU you can afford when the time comes, which is covered in the preface. From a bang-for-buck perspective, a Core i3 8100 or i5 8400 + GTX 1050 Ti is a better value proposition than a R5 2400G + GTX 1050 Ti, but that's if you have your full $600 budget ready to go. Will be recommending this to my college friends, thanks again ThoughtA! Always good to have a cheap PC so you have room to buy ramen noodles. Thank you for this build. I haven't built a computer in 15 years so I'm really behind the times when it comes to picking out compatible parts. I purchased a Ryzen 5 2400G and an MSI B350M and assembled everything. However, when I power it on it doesn't POST. The CPU fan and case fan come on, the red LED lights on the motherboard light up, but there is no beep and the VGA monitor remains in low power mode. I don't think USB is getting power because the Microsoft USB mouse doesn't light up. The only problem I can see is that the CPU debug light does light up. I've removed the CPU and replaced it but that didn't change anything. I'm not sure what to check next. Some people seem to have luck with a BIOS reset. Some people say that it just takes a while (2 minutes) to POST the first time. Others say that they had to upgrade the BIOS in order to get it working, but those reports were mostly 6+ months ago. There was even one person that had a motherboard short against the case. What should I do? I haven't removed the motherboard from the case yet but I might go ahead and try that. If I have to upgrade my BIOS I'm not sure how to proceed. Someone mentioned a "boot kit" or something from AMD that might help. Any tips would be greatly appreciated. Just to answer my own comment. I had to get a "boot kit" from AMD and flash the motherboard BIOS to the latest version in order to get this working. Does it really need a tempered glass case when, if we're going for budget, looks shouldn't matter? On that note you can also get an EVGA PSU for $20. And $500GB isn't great but that's another $20 saved, we're looking for entry and entry should require some sacrifices. Other than that, pretty solid starter. It seems to me that taking the R5 1600 instead of the 2400G is a no brainer in this system at current prices. Only 20€ more expensive, no bios issues and in a couple of years still powerful enough to accompany a new GPU. So no need to replace the CPU as well. Seeing as how the set-up has no dedicated GPU, it would make no sense to go for the 1600. You'd have no video out until you bought a GPU down the road, rendering your PC useless. Is the B350 tomahawk Bio supported with the Ryzen 3 APU? Can anyone help me coz its been a while since the bios problem so is it safe to buy a MOBO now from Amazon. I would recommend trying to buy a new mobo in person in order to find out if it has an updated bios. Thinking about this build as a first for me.. I want it to do one thing and one thing only and that's to raid on WoW not looking for high or ultra settings would this suffice? Is there a board that you can recommend that does NOT requires another CPU or Kit to get this CPU to work with it? tHE PROBLEM WAS THE bIOS , I would hazard a guess and say that you are very safe in buying any mobo now as they should all have updated BIOS. I cant gurantee it tho. I agree with pretty much everything except for your hdd choice. The hitachi drives sold at this price point are "refurbished," and I use quotes because a good number of reviewers have said their drives since failed after purchasing. The Seagate Barracuda 2tb drives are only about 10 dollars more and they will be way more reliable. Thanks for the heads up. I don't believe that model is necessarily refurbished on all listings, but the Amazon one seems to be, so I've removed that. A new model will take its place on the list very shortly. Does this have WiFi on the mobo? No, I don't think it does. At least my MSI B350M motherboard doesn't have onboard WiFi. Hey, I'm going to make my first PC build and I figured I'd go with this one or the intel one, because I don't yet trust myself to pick the right parts, and I have some questions. (1) What is a good budget PC monitor to go with? (2) Does the motherboard come with a Wi-Fi adaptor or will I have to buy one to connect via USB? (3) Do I need to buy any extension cables for the power supply or do all the necessary cables come with it? (4) What are some good perennials to buy? I'd like a cheaper mechanical keyboard, a good mouse and mousepad, and some sort of headphones. (5) Should I bother with buying more fans? I noticed that the case comes with only 1 fan, and has room for around 4 or so more. I'd like to keep from burning my first PC up, so I need some advice. With the 1050 Ti yes, not sure on the APU though. Anyone know how well this would run rainbow six siege?? Youtube the name of the game, and the graphics card. You should get the answer you're looking for. How would fortnite run on something like this? This is perfect. This is going to be the first desktop me and my buddy are going to build for my game room now & our own house's game room one day in Blawnox, PA.
will this run PUBG with at least 75 fps?? as for that will be its main game..that and fortnite. I will also be running discord and obs for streaming. What do you do about the Mobo bios issue? Why an APU and a GPU? The APU is a stand-by for the absent gtx 1050ti. The alternative is GPU hunting first and then buying a r5 1400 later. Interesting, Thank you. I recommend removing the 1050ti from the build and making a separate guide for those who want a 1050ti for 200 more. Correct me if I'm wrong, but wouldn't this bottleneck? No a 1050 ti should be just fine. You could probably go up to a 1070 before you would see any major bottle-necking. there isn't even a GPU. Any reasons? The Ryzen 5 2400G is a CPU and GPU packed into one chip. While not as strong as discrete gaming video cards, the 2400G's integrated GPU will easily handle popular games like League of Legends, CS:GO, and Overwatch. However, it will likely not provide a great PUBG experience. It comes with a stock CPU cooler, so adding an aftermarket cooler will not be necessary. Once a discrete video card is purchased, the 2400G will offer competitive CPU performance, making this a great short and long term purchase. It doesn't need one, These Raven Ridge chips are integrated - literally says it in the description. The idea here is to wait out until GPU prices come down. Why get a GPU with an APU already on board. The 1050ti isn't that much more powerful than the vega 11 GPU. Look at benchmarks between the 1050ti and the apu in this build. The apu is closer to a 1030. Read his preface. This is more like a $400 build with an upgrade path for a discrete GPU later. I would argue that spending $600 right out of the gate for a 2400G + GTX 1050 Ti is sub-optimal. You're better off with an i3-8100 or i5-8400 + GTX 1050 Ti if the full $600 budget is ready to go. With just the integrated graphics of 2400G, you need to turn everything down to low and you still might not get 60fps at 1080p. With 1050Ti you can easily get 60fps at 1080p on around medium to high settings. The M12II is a poor choice in PSU. It lacks OTP, its group regulated, its not a quiet PSU, it doesn't support C6/C7 power states, and its not that good performance wise. Its 8 years old, time to move on from it. If they didn't mention anything like I assume was in the comment then it was a bad review site that shouldn't be used for PSU's. You can't have a opinion on it just based on ownership, PSU's are highly complex parts. Opinions are not created equal. I don't have a valid opinion on quantum physics and you don't have a valid opinion based on just owning the PSU. To have a real opinion outside of visible or physical stuff e.g cables, weight, etc you will either need to look up reviews/info on the unit or test the performance of your PSU and take it apart. How can you know something that you don't know or haven't checked? This is everything Tomshardware does to review a PSU, it is how you should fully review a PSU. Could you please explain why you don't recommend the use of the M12II evo power supply? Are there known issues with it? Thanks. Wow those are a lot of points. It seems you've really done your research about power supplies. Have you owned an M12II before and encountered any issue? 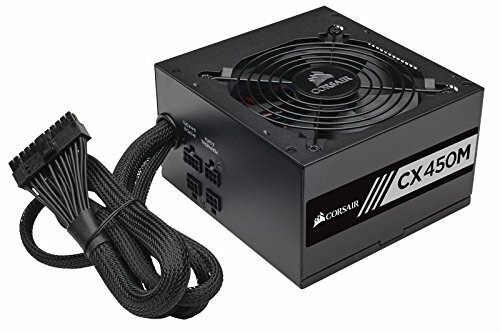 What PSU within the same power rating would you recommend instead? Got it,thanks! Will consider these in the future. You've been warned numerous times for trolling and rude comments. Your posting privileges have been revoked for the next week.